Hello Everyone! My name is Cameron Scott and I’m a member of the Front Desk Team in Arlington. I enjoy assisting our ARL Yogis with their daily practice. I’m happy to be a member of the BYNT Team and look forward to seeing you soon! Bikram Yoga North Texas was established in 2002. We are independently owned and operated. We are not a Bikram franchisee nor financially obligated to Bikram Yoga Inc. headquarters. 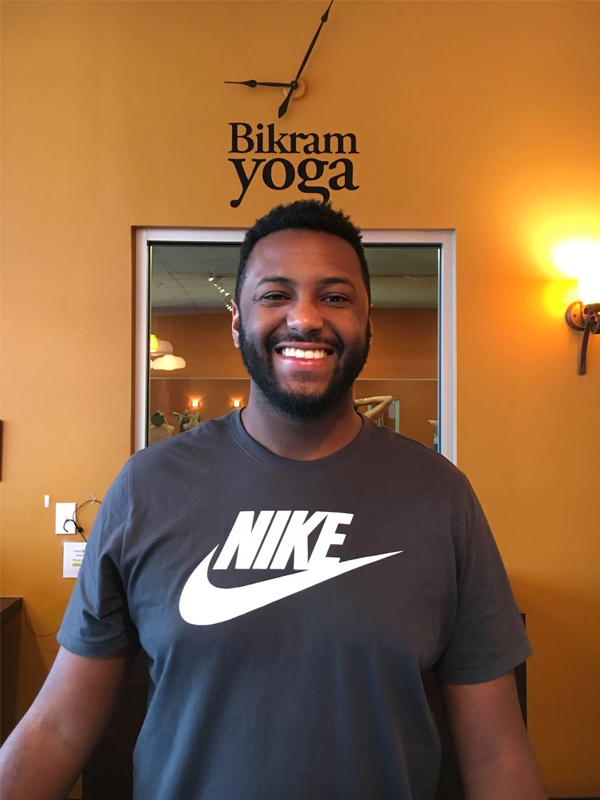 Bikram Yoga is challenging, energizing, fun, and worth every drop of sweat. We’ll see you soon. © 2019 Bikram Yoga North Texas.